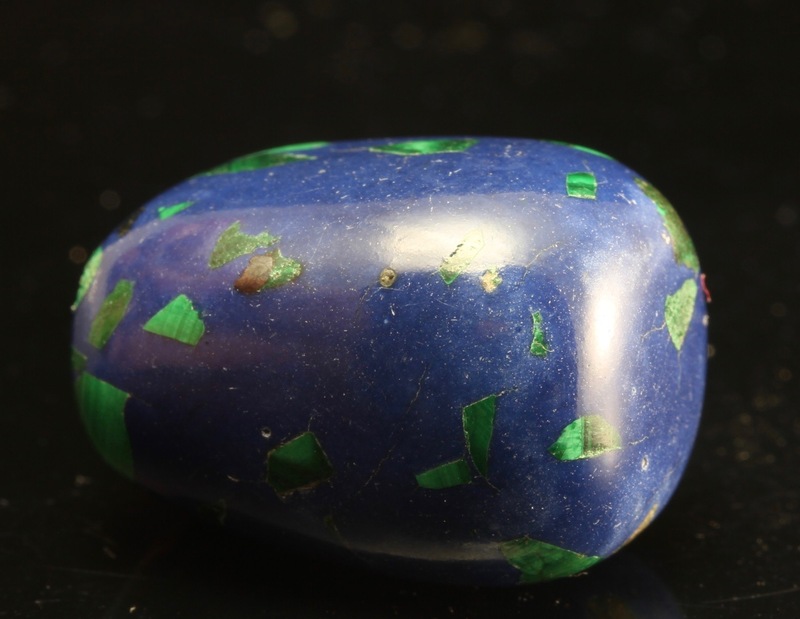 Azurite-Malachite is a combination of Azurite and Malachite and as such brings together the properties of both stones. Initiates transformation, aids clarity and understanding in vision. Azurite is said to encourage new perspectives and clear understanding, expanding the mind and helping you to let go of old unhelpful beliefs. Malachite is thought to be a powerful emotional cleanser helping to remove past traumas, and negative emotions to bring peace and harmony into your life. Azurite-Malachite, in its combined form, is a powerful conductor of energy with the ability to reveal deeply hidden negative emotional thought patterns and to cleanse and heal them. It is a powerful crystal and should be used with care. Prolonged, or indiscriminate use, may cause heart palpitations.